I have a very sweet book to share with you today plus, as usual, some activities to go along with it. Opening Lines: One morning, Lily saw something wonderful in her garden. It was big, brown, and hairy. 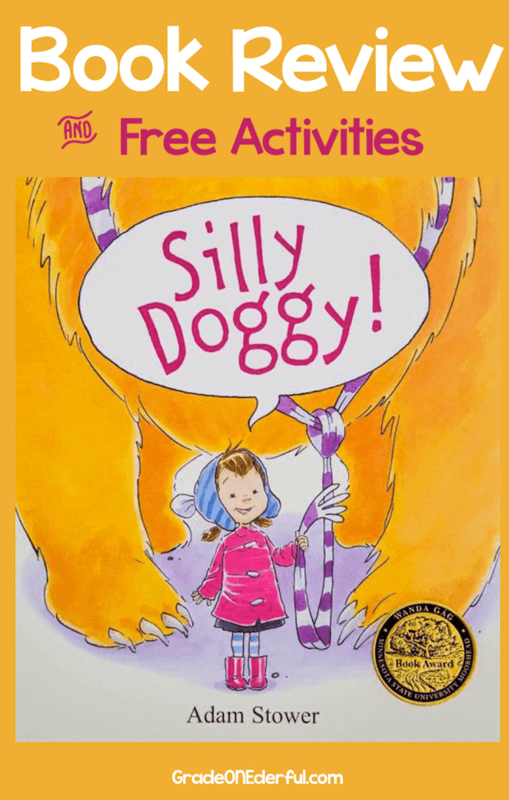 It had four legs, a tail, and a big, wet nose, and Lily had ALWAYS wanted one . . . .
Summary: Lily has ALWAYS wanted a dog. So imagine her delight when she finds a stray "doggy" in her backyard. Well, yes, it's actually an escaped bear from the local zoo. But Lily doesn't know that and the doggy is lovely, kind, gentle and just a little bit silly. Eventually Lily decides (with her mother's nudging) that her doggy needs to find his real owners. So Lily makes up a found poster, all the while secretly hoping that no one will see it. Why I Like It: I'm always attracted to books about dogs so the title immediately caught my eye. 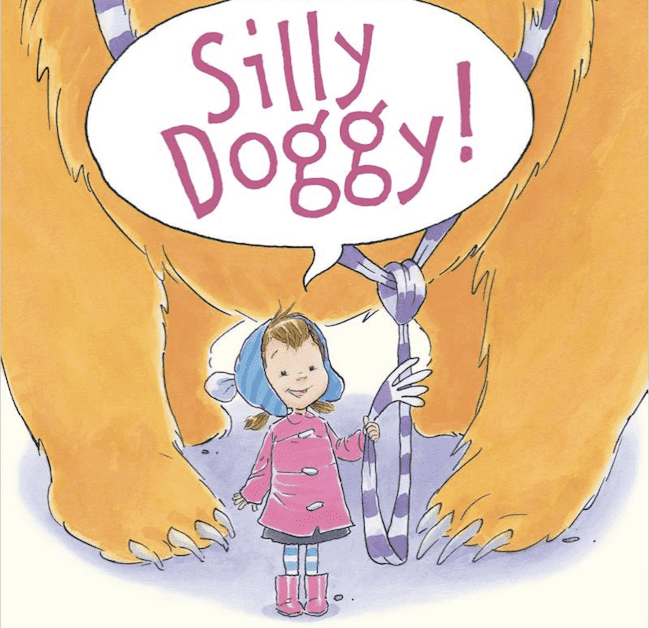 And despite not seeing a single dog, this book just cracked me up. 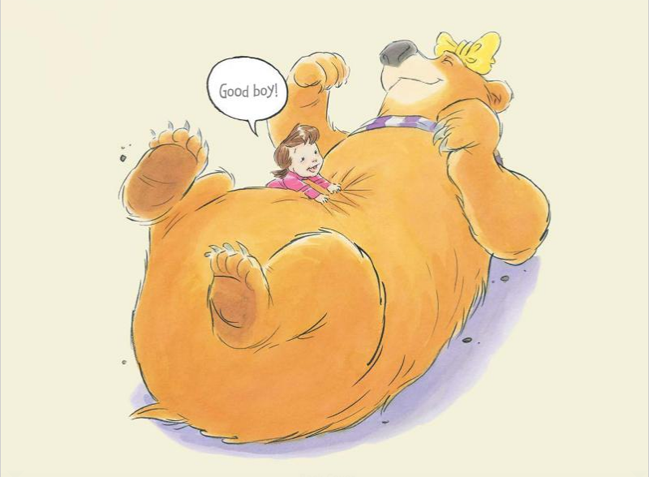 Looking at that poor bear patiently trying to please Lily is sweet and funny. The ending's hilarious, too. 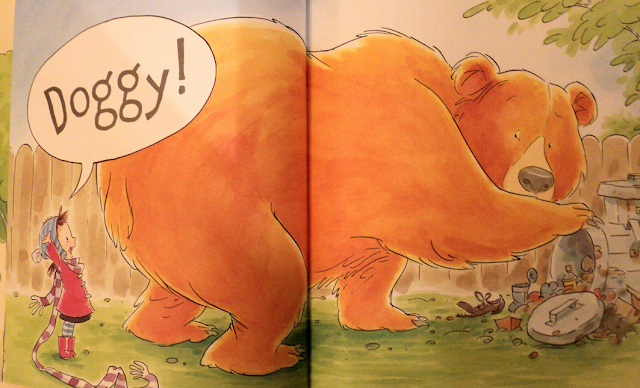 I won't give it away, but let's just say the last two words in the book are "Silly kitty!" 1. Visit your local SPCA to learn about proper pet care or invite them into your classroom like Beth Ann did! 2. Tie it in with a Bear or Zoo unit. 3. Have the kids (after lots of excellent modelling by your excellent self) write and draw the beginning of the story, using an animal of their choice. This would be great for practicing description. (Click the pic to grab). Be sure to have your kids draw themselves in the bottom left-hand corner of the page, with a talking bubble and the word "Doggy! ", "Bunny! ", "Kitty! ", "Birdie!" or whatever animal fits their story. 4. I love pairing crafts or artwork with books. 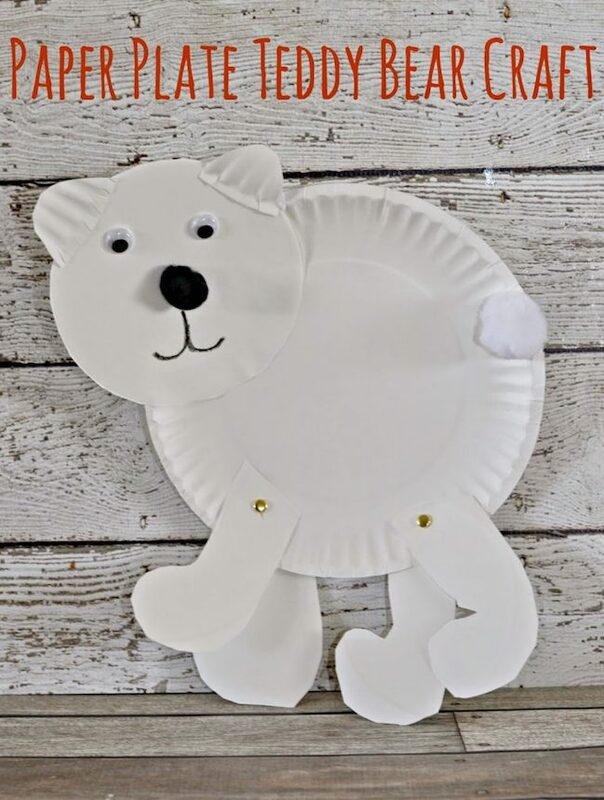 It would be fun to make these paper plate bears I found on Building Our Story. To make them look more "doggy-ish" it would be easy to paint them before adding the face and tail. 5. Be sure to visit Adam Stower's website. He's published lots of books! My plan is to visit my library and check out some of his others. 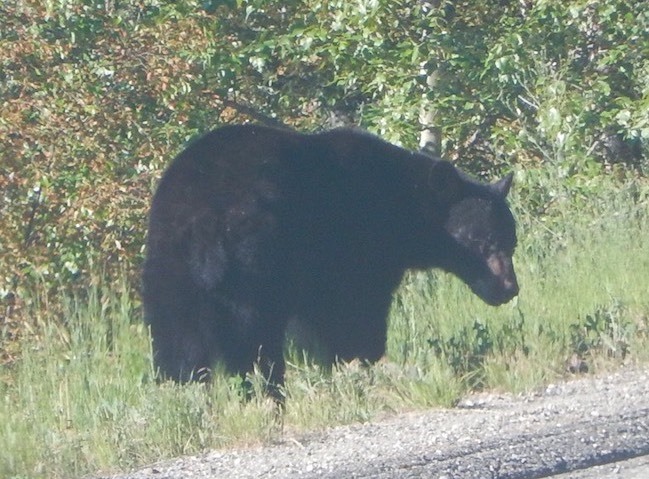 And before I go, here's a pic of a bear we saw on our recent road trip to Winnipeg, Manitoba. We saw this beauty in the Crowsnest Pass in B.C. In fact he/she was crossing the highway. Good thing it was only us and one other car on the road at the time! I'm linking up with Susanna Hill for Perfect Picture Book Friday! 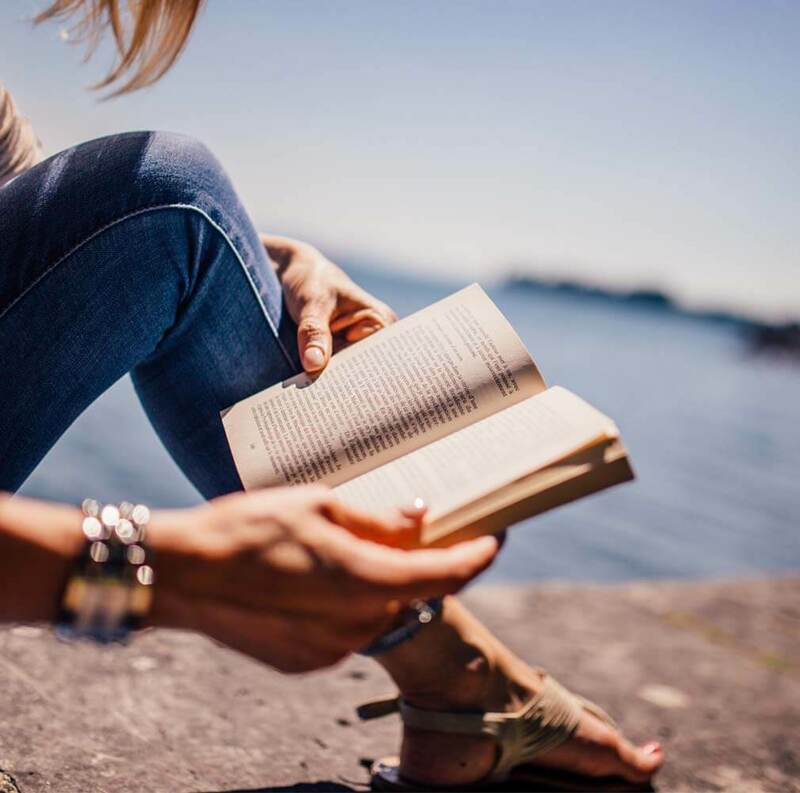 Be sure to visit for some more great book ideas. Such a cute and clever idea! I love the paper plate craft too! What a fun pick about an oversized dog! I really liked the exercise you shared as it helps kids create their own story. I love your activities! And this book looks like a lot of fun, though I hope no kids go out and adopt a bear.